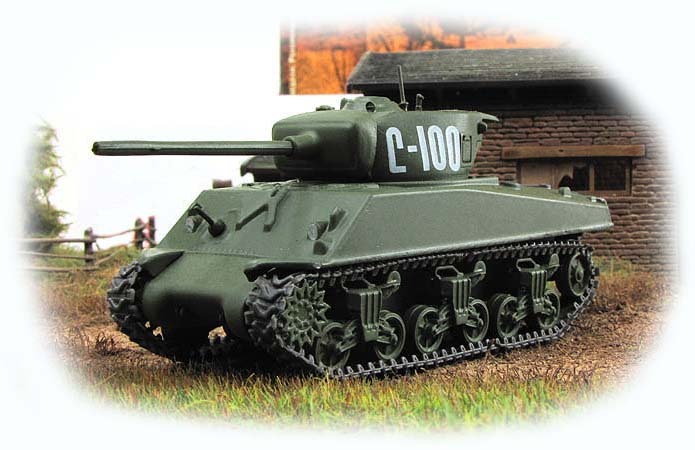 The M4 Sherman, officially the Medium Tank, M4, was the most numerous battle tank used by the United States and some other Western Allies in World War II. It proved to be reliable and mobile. In spite of being outclassed by heavier German heavy tanks late in the war, the Sherman was cheaper to produce and available in greater numbers. Thousands were distributed to the Allies, including the British Commonwealth and the Soviet Union, through the lend-lease program. 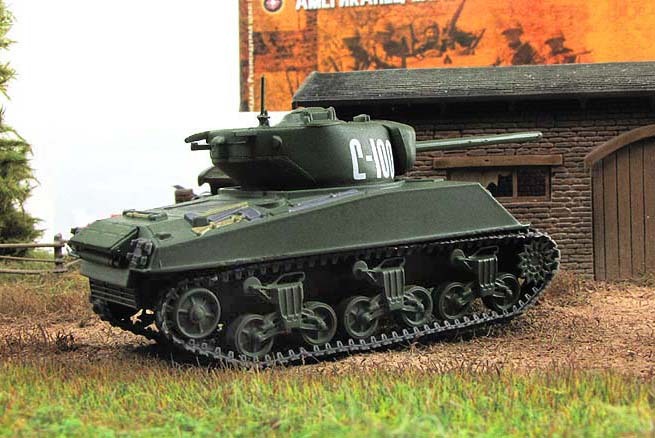 The M4 was the second-most produced tank of the World War II era, after the Soviet T-34. 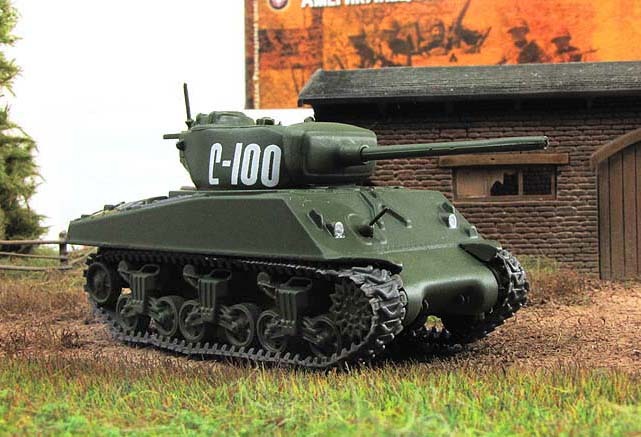 The tank was named after the American Civil War General William Tecumseh Sherman by the British. The M4 Sherman evolved from the interim M3 Medium Tank, which had its main armament in a side sponson mount. The designers stressed mechanical reliability, ease of production and maintenance, durability, standardization of parts and ammunition in a limited number of variants, and moderate size and weight. These factors combined with M4 Sherman's then-superior armor and armament outclassed German light and medium tanks of 1939–41. The M4 went on to be produced in large numbers. It spearheaded many offensives by the Western Allies after 1942. 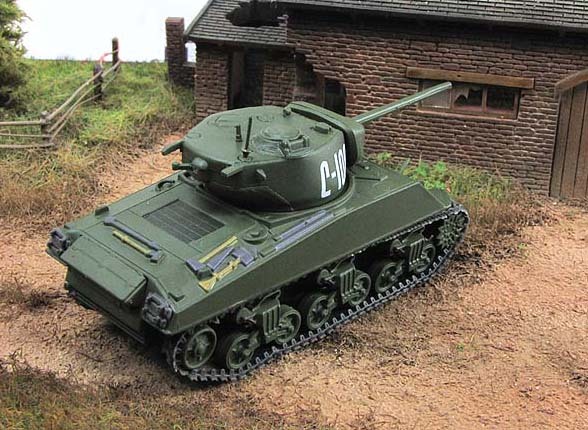 In the USSR, "Sherman" is often called "Emcha". 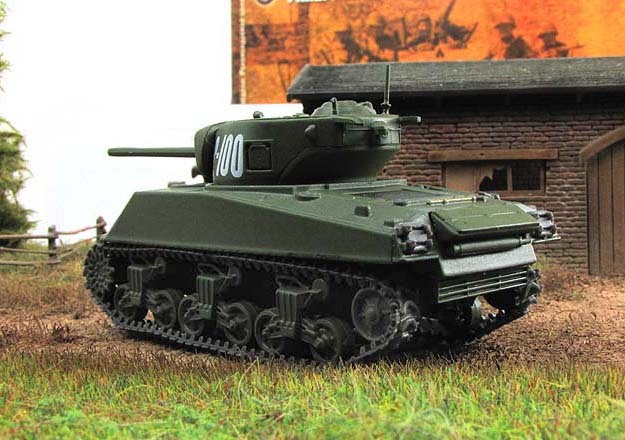 In its basic combat characteristics "Sherman" roughly equivalent to the Soviet T-34/76. 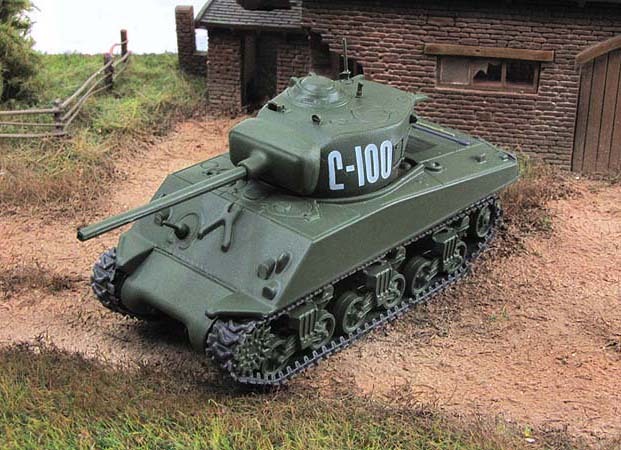 Arriving in the USSR tanks were not subjected to any modification, not even repainted (Soviet identification marks applied on them at the factory because stencils American and Soviet stars in generally coincide, it was only necessary to change the color), many tanks does not have no national identification marks . Depreservation tanks made directly in the army, while they do manually applied tactical numbers and identification marks parts. Americans had special representatives in the Soviet Union, who watched over the operation of American tanks directly into the army. In addition to the functions of technical consultants, these representatives are also responsible for collecting feedback and complaints, sending them to the manufacturers. Known defects fairly quickly eliminated in the next series. Except the tanks, the Americans also supplied repair kits; in general, the problems with the repair and restoration was not. Nevertheless, quite a large number of damaged in the fighting, "Sherman" was dismantled for parts, and parts went to the restoration of their more fortunate counterparts.